Only 8 left! This item ships in 1-2 days. 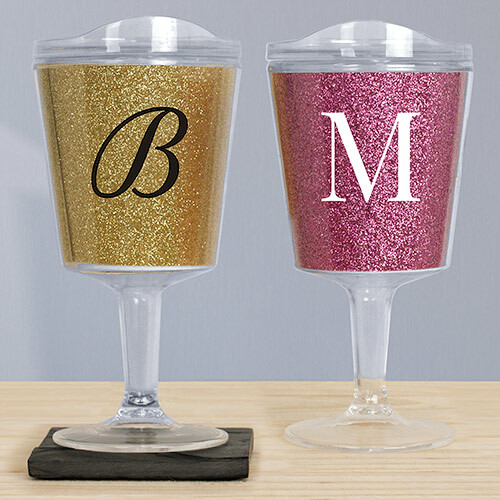 Glitter-fy your lifestyle with these tumblers whenever your on the go! We'll custom personalize any single initial in script or block font along with your choice of white or black text color to make sure you drink your favorite beverage in style. *Tumblers are not sold as a set. Great as bridesmaid glasses and gifts! I saw these at a great price, so I bought 15 of them to use as Passover gifts this spring for my grandchildren. Yes, I know it's awfully early, but, hey, they looked wonderful and they were available, so I bought them. I figure the kids can use them for so many things besides drinking, such as for pencils, toothbrushes, and little treasures. All in all, a great buy.